Terrorism (Sydney, Australia): Progressives and other defenders of multiculturalism react to Muslim terrorist cold blooded shooting of innocent policeman, with insane rants on twitter and mainstream media, blaming Australian community intolerance for Islamists feeling of social isolation. 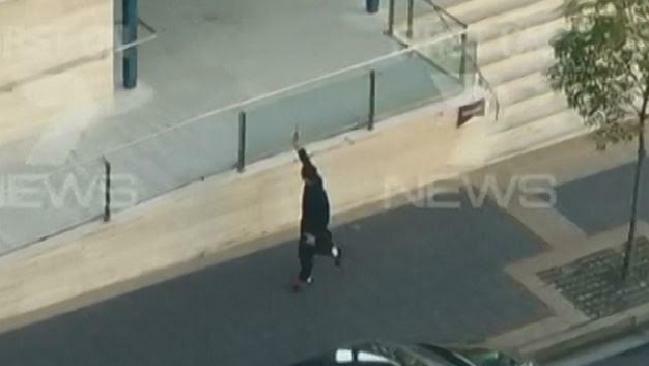 So if you are unnerved or in anyway concerned by the idea that a young Muslim could attend a service at a local Mosque in the middle of your city or suburb, then walk down the road to the local police station and start shooting people, then you are the problem, you need to get over it and get on with your life. Any concern or suggestion that all these terrorist around the world killing, maiming, murdering innocent people are some how a product of importing Muslim culture clearly indicates you are a racist and obviously you are the one who should be arrested and forcibly re-educated. In Islam, devoutness = radicalisation. The higher one ascends the ladder of Islam, the more violent one inevitably must become towards non-Muslims, because the Qur’an and Mohammed command it. Previous Previous post: Turnbull expected to again blame ignorance and unwelcoming Western Culture for Islamist acts of terror, defends Muslim enclaves, practice of Sharia in our suburbs not an issue.